Reflecting on 2014, I thought I would share some of the highlights from a very busy year, along with a few of my favorites photos from assignments that I shot for clients. Indulge me as I show off some of my work from last year, along with a few personal favorites. I took a trip this summer with the Bill, Hillary and Chelsea Clinton Foundation with stops in India, Vietnam, Indonesia, Borneo and Australia. As always, it was fast-paced and full of interesting sites and people. Besides Australia, each stop on our itinerary was very, very hot and humid. My camera lenses fogged up every time I went from an air-conditioned space to the outside. 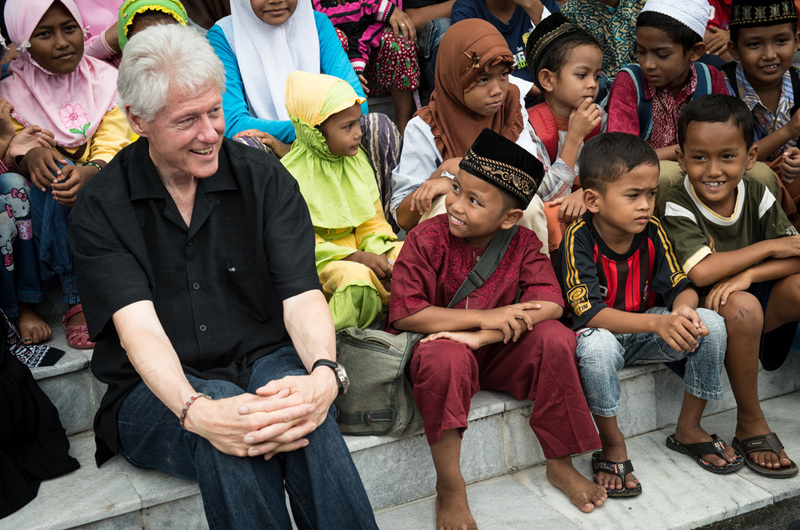 President Clinton sitting with children outside a mosque in Banda Aceh, Indonesia during a visit to view the country’s development since a devastating tsunami hit 10 years earlier. 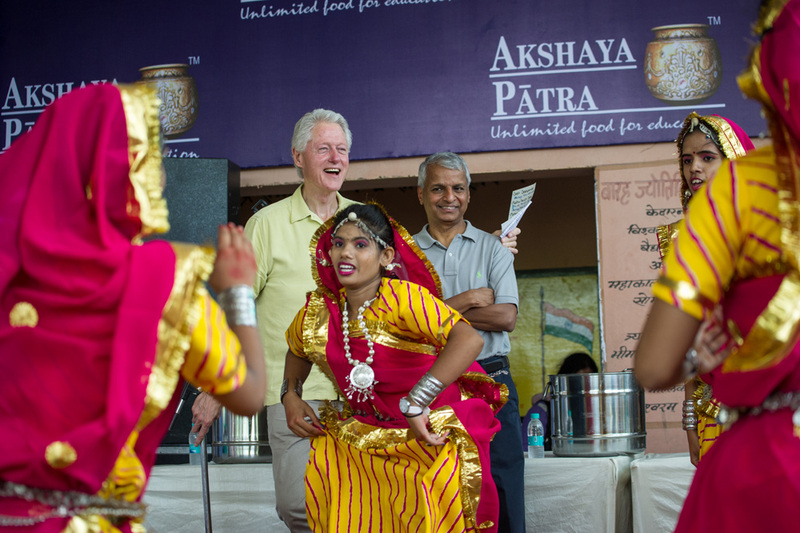 President Clinton and Desh Deshpande watch performers outside the Akshaya Patra kitchen in Jaipur, India. The kitchen is a part of the Clinton Global Initiative commitment between the Deshpande Foundation, Ravindra Chamaria and the government of India to provide mid-day meals to school children across the country. I also photograph the Clinton Global Initiative meetings throughout the year, including the annual meeting that takes place in September in New York City. As we were walking from one event to the other inside the Sheraton Hotel, a staffer suggested I take a quick family portrait. Nobody was more surprised than me when the photo turned out so great of all three. We were in a hallway between meeting rooms so I just bounced a flash off the ceiling and hoped for the best. Chelsea was very pregnant and gave birth to a daughter five days after this photo was taken. 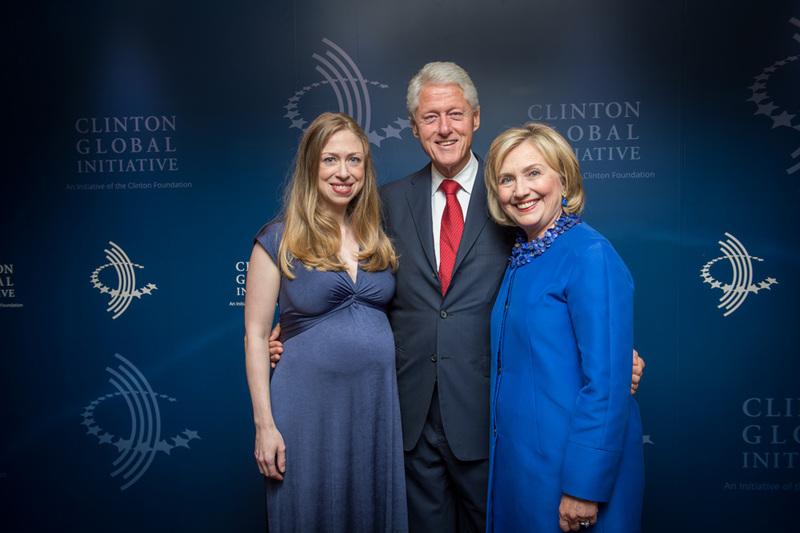 A family portrait taken in September at the Clinton Global Initiative Annual Meeting in New York. Usually, I attend Seattle Storm events as a fan, but this year I filled in for Seattle Storm staff photographer Neil Enns on a community event in Sea-Tac, WA. The WNBA team practiced drills and shot hoops with kids. I caught Sue Bird as she was watching the Storm Dance troupe before she was announced into the gym. 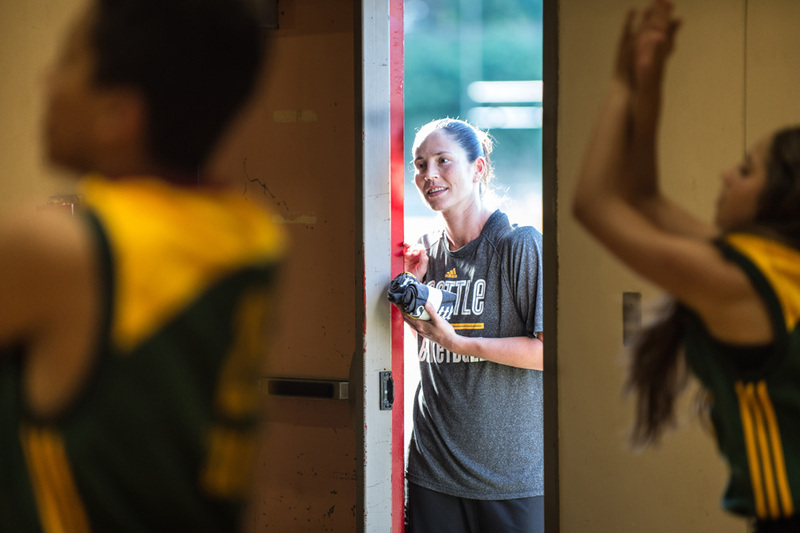 WNBA and Seattle Storm star Sue Bird checks out the Storm Dance Team as she waits to be announced into the gym for a community basketball event. Sticking with a sports theme, the Washington Athletic Club magazine hired me to shoot the University of Washington boxing team at practice. I set up a mini studio outside the workout area and did portraits. As tough as the players tried to look for the photos, they couldn’t stay serious for too long. Members of the University of Washington Boxing team posing for portraits for the Washington Athletic Club magazine. The Washington Athletic Club has been a very good client over the years – a special thanks to Barbara Schmitt, creative director and editor-in-chief, who often accompanies me on the shoots and not only provides an artistic eye when figuring out locations and poses, but helps schlep equipment. 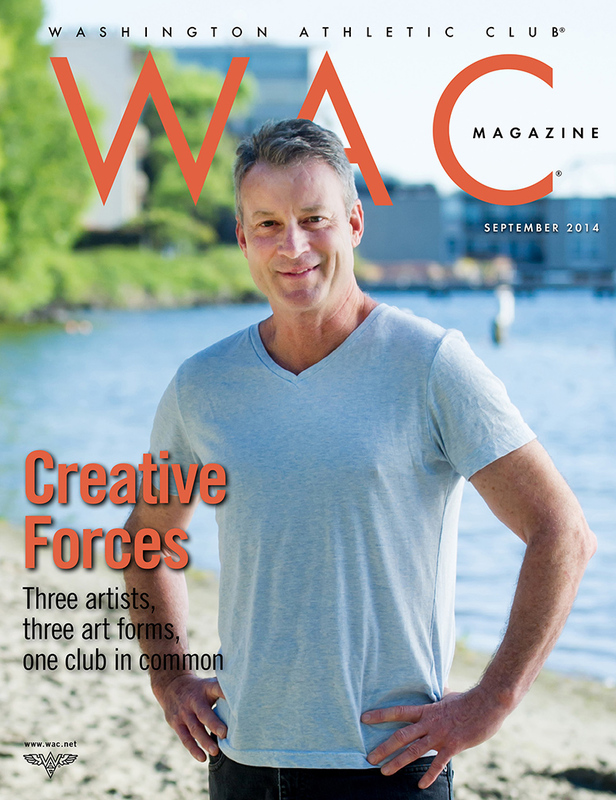 We did a series of portraits of WAC members who have interesting careers – jazz singer Courtney Fortune, artist Judith Kindler and writer Tim Egan. Jazz singer Courtney Fortune at a photo session for the WAC, at the Ruins in Seattle. 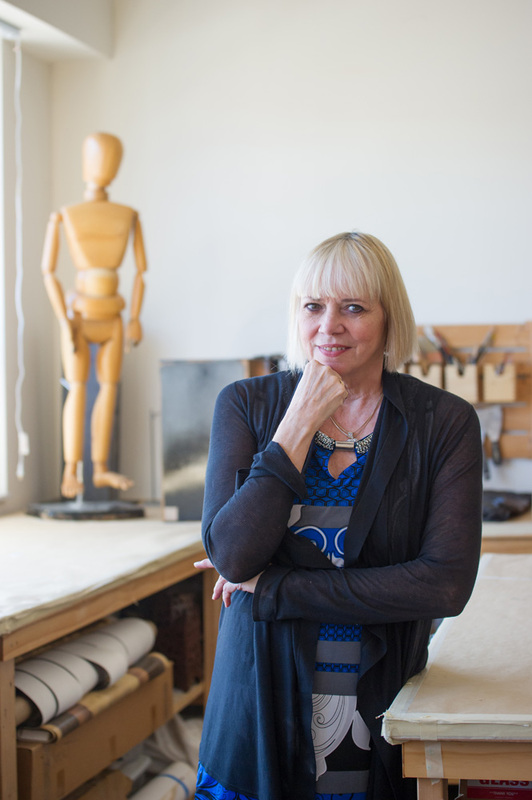 Artist Judith Kindler at her studio in Queen Anne. The Mobility Outreach International organizaiton brought me along on a trip to Cap-Haitien, Haiti. 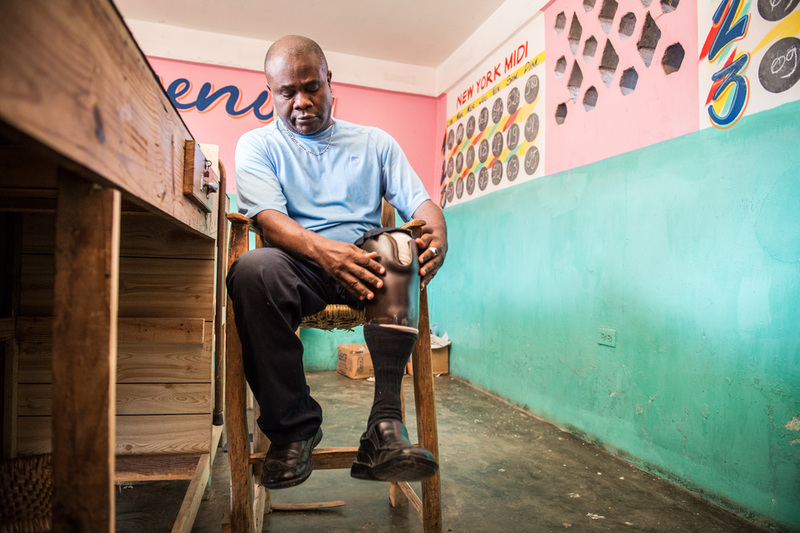 MOI works with partners in developing countries to enhance physical rehabilitation programs and establish prosthetic treatment centers that are locally staffed and operated. We visited a few of the folks who have benefited from their work. 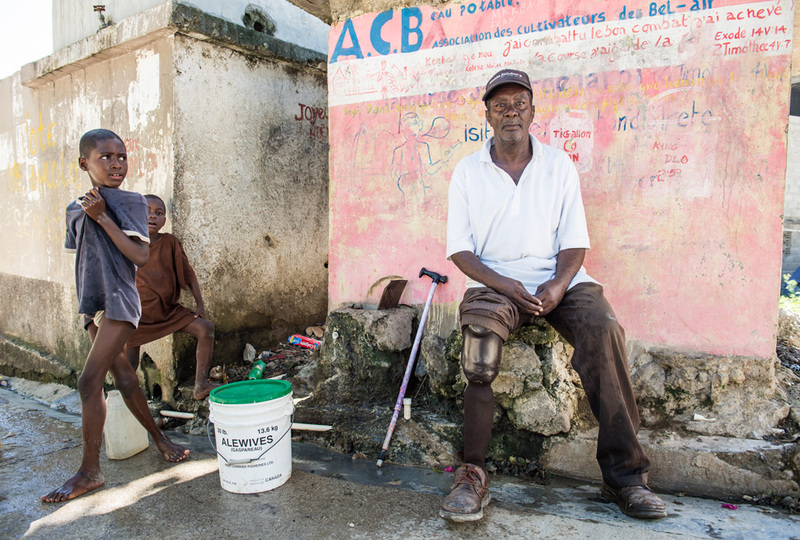 Bazile operates a lottery store in Cap Haitien, Haiti. Phileppe runs a water purification service that allows residence to purchase safe drinking water. 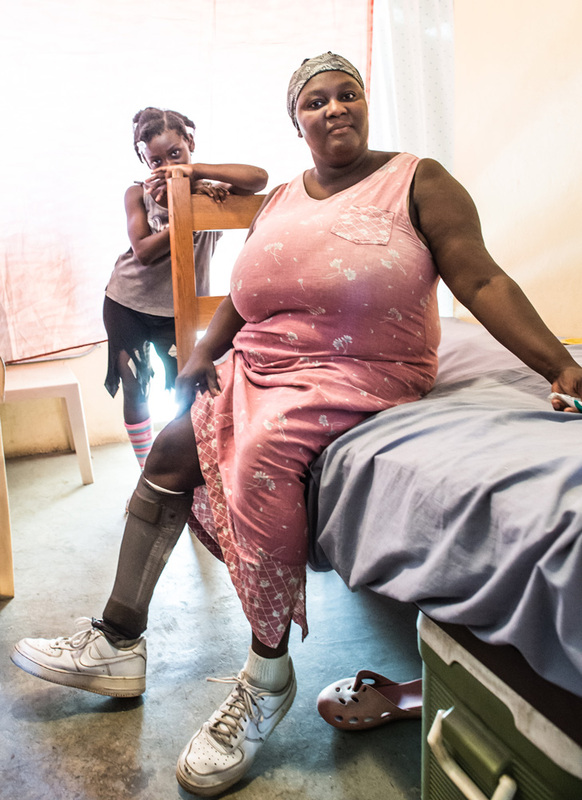 After being injured in the in the 2004 Haiti earthquake, Filidor and her daughter Arrielle, moved from Port-au-Prince to a community outside Cap-Haitien. Both lost a leg as a result of their injuries. 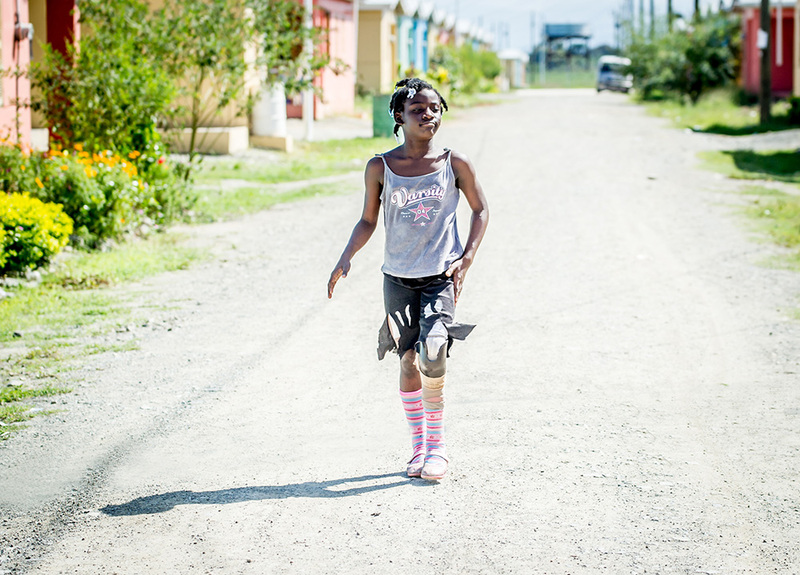 Although she has a prosthetic left leg, Arrielle runs and plays like any 10-year-old girl. 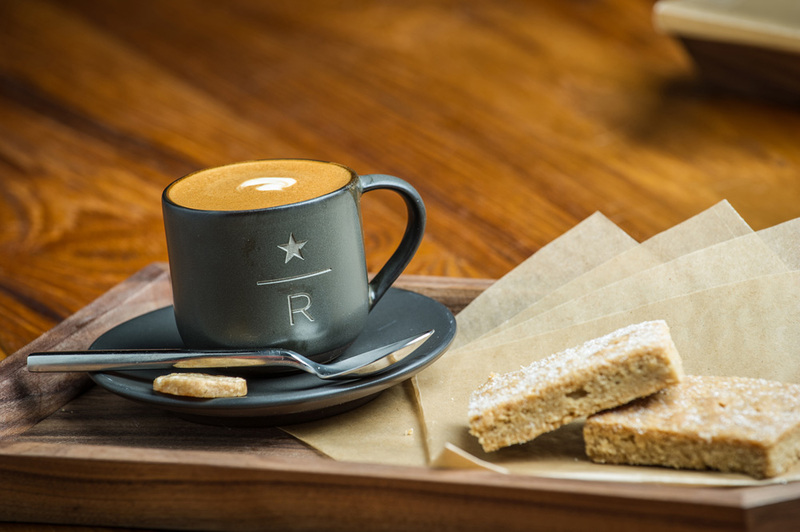 Back in Seattle, I did a five-day shoot for Edelman PR and Starbucks on the opening of the Starbucks Reserve Roastery and Tasting Room in the Capitol Hill neighborhood. I arrived back from Haiti at midnight and was expected at the Roastery the next morning at 6am. Luckily, there was no shortness of coffee available to keep me going during the day! 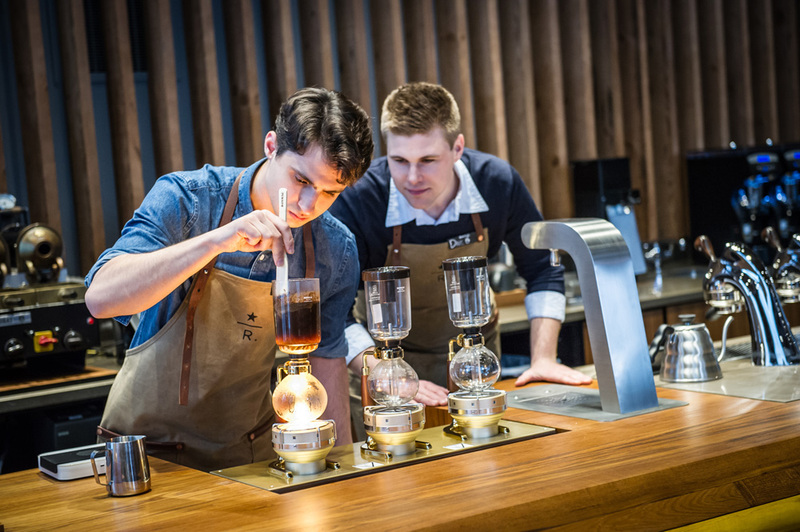 Baristas at the Roastery brew coffee using six different methods including: pour over, Chemex, french press, siphon (pictured here,) espresso and the Clover system. 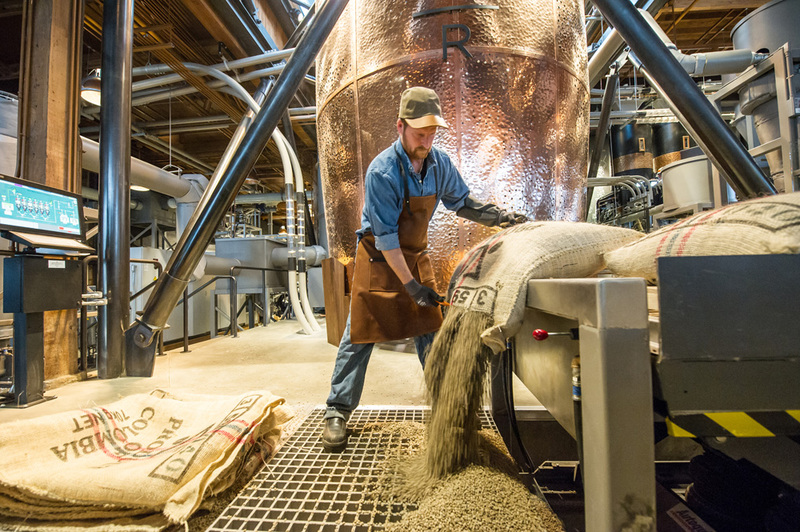 Smaller batches of reserve beans will be delivered, roasted and and brewed at the Roastery. 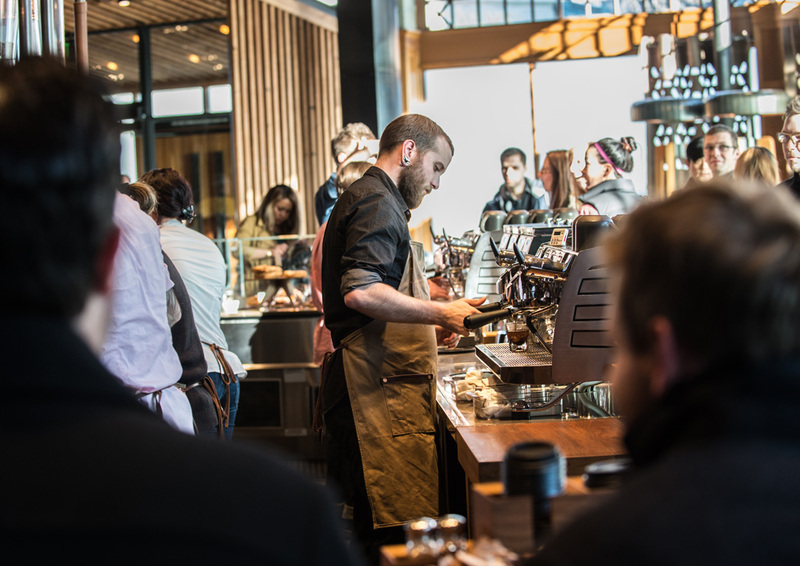 A Starbucks employee opens a bag of green coffee beans to begin the process. 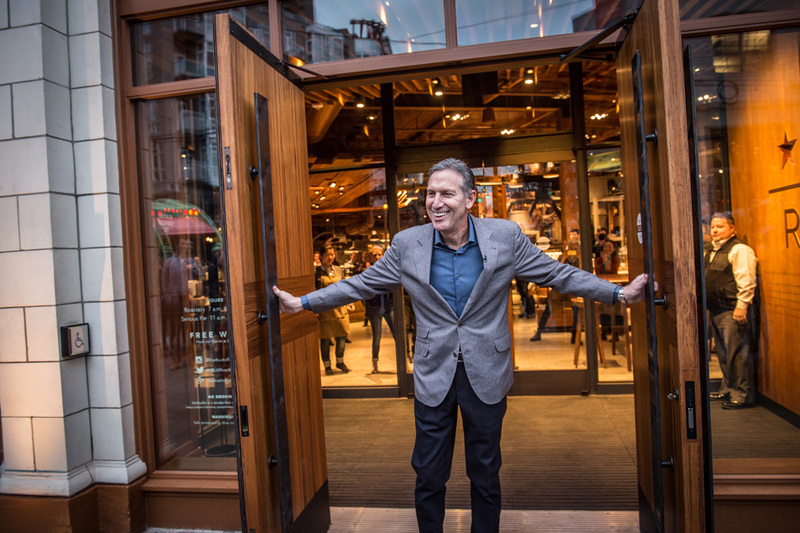 Starbucks CEO Howard Schultz opening the doors of the Roastery to welcome the first customers. I am not a super star when it comes to shooting photos with an iPhone – I always want the phone to do more than it can do. However, using the Hipstamatic app, I feel like an artist and love the different films and lenses that are available at the swipe of a finger. 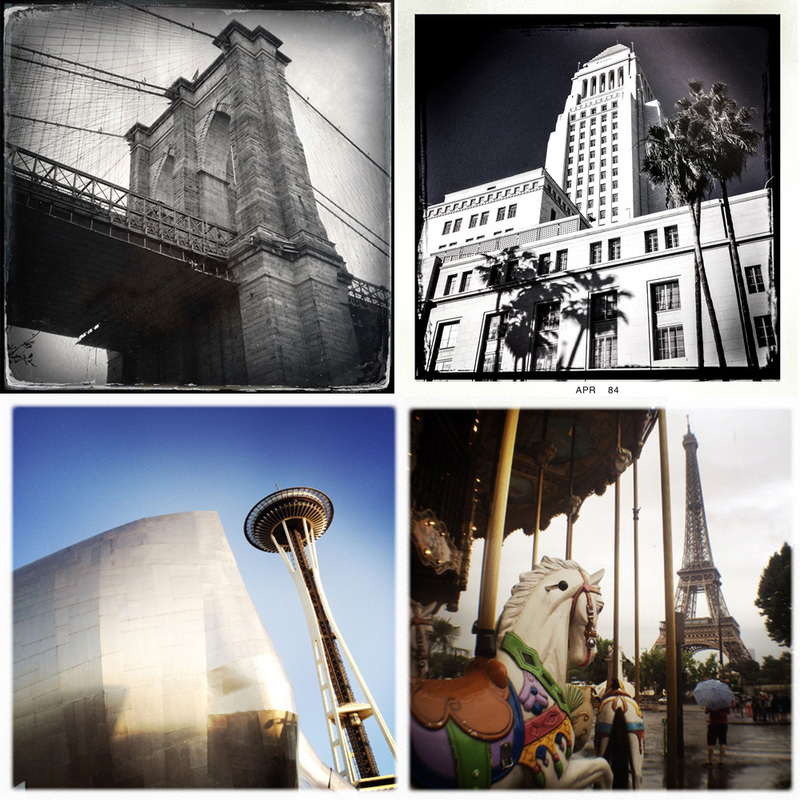 Clockwise from top are: The Brooklyn Bridge; City Hall in Los Angeles; Carousel near the Eiffel Tower in Paris and the Space Needle next to the Experience Music Project in Seattle. 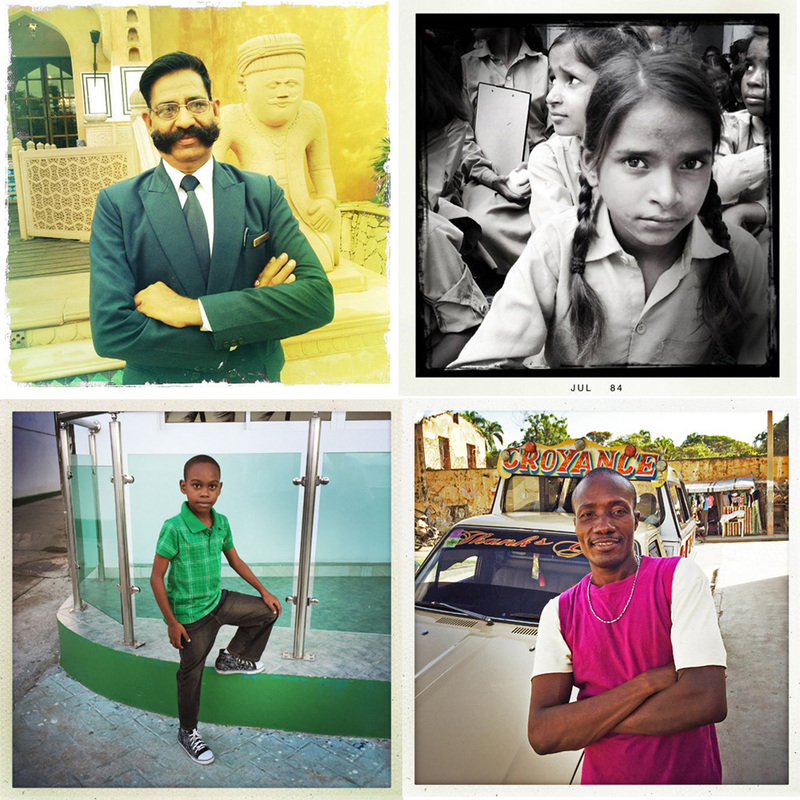 Clockwise from top are: Awesome mustache on a hotel staffer in Jaipur, India; Elementary school students in Lucknow, India; a Tap-Tap (taxi) driver in Cap-Haitien, Haiti and a young boy posing on the streets of Cap-Haitien. 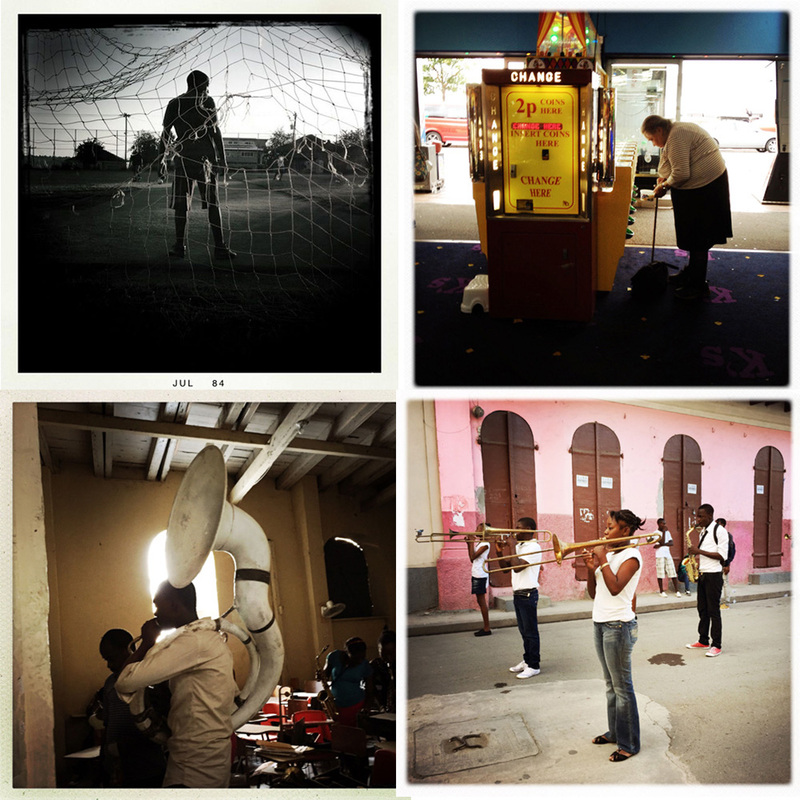 Clockwise from top are: Pickup soccer game near my house on Beacon Hill in Seattle; Woman playing an arcade game in Minehead, England; Marching band practicing on the streets of Cap-Haitien, Haiti; Musicians practicing in a rehearsal room in Cap-Haitien. Using a daguerreotype-inspired black & white plate film with the app, I photographed my pets. Left to right are Roxy, Lola and Jaguar. 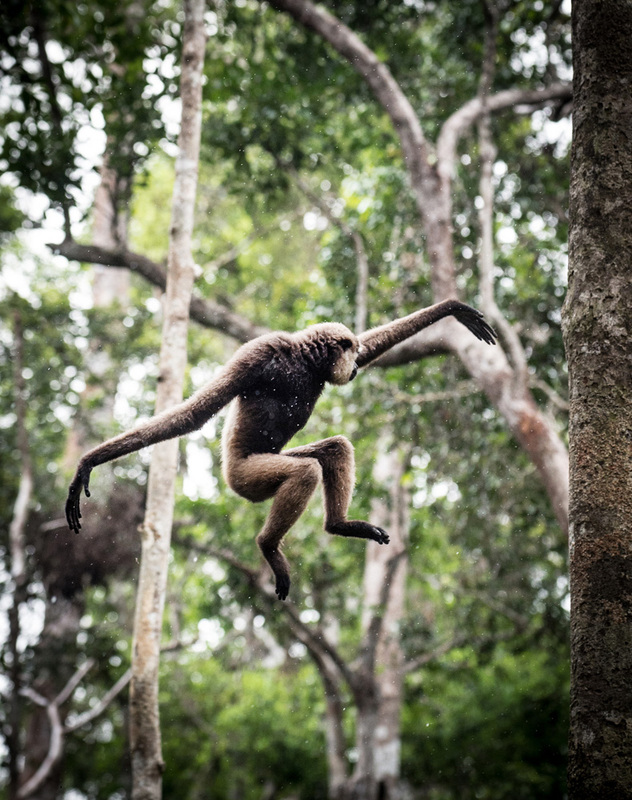 And finally, here are just some of MY personal favorites from the year…..
A flying Gibbon in Tanjung Puting National Forest, Pangkalan Bun on Borneo Island. Dr. Biruté Mary Galdikas, who is the world’s foremost authority on orangutans took the Clinton Foundation delegation on a tour of the park, mentioned in a tweet that this photo was “absolutely remarkable. One of the best photographs of a brachiating Gibbon I have ever seen.” I’ll take that compliment from an expert! 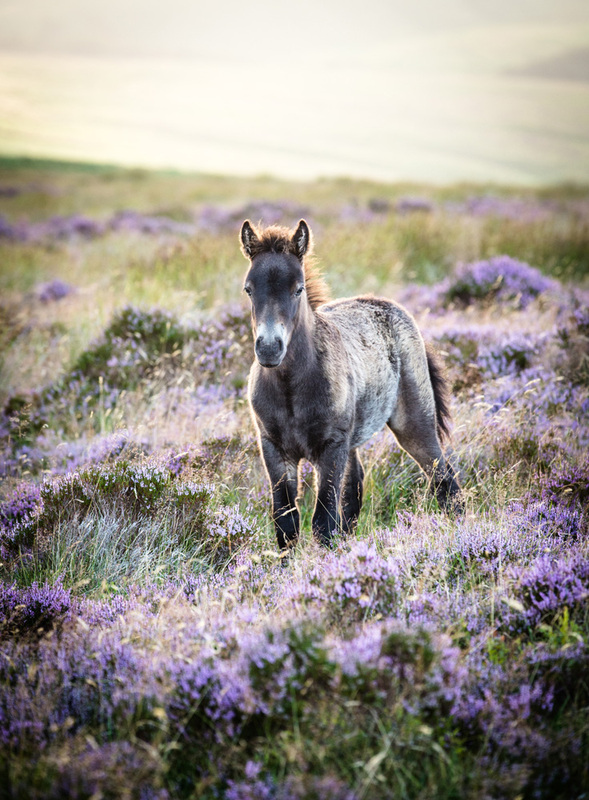 On a visit to Minehead, England, we drove through the Exmoor National Park looking for the wild ponies. We found a herd grazing in a field of heather. It was late in the day and the light was gorgeous. Thanks to our guide Roly, who was born and raised in this part of England and knows it like the back of his hand. 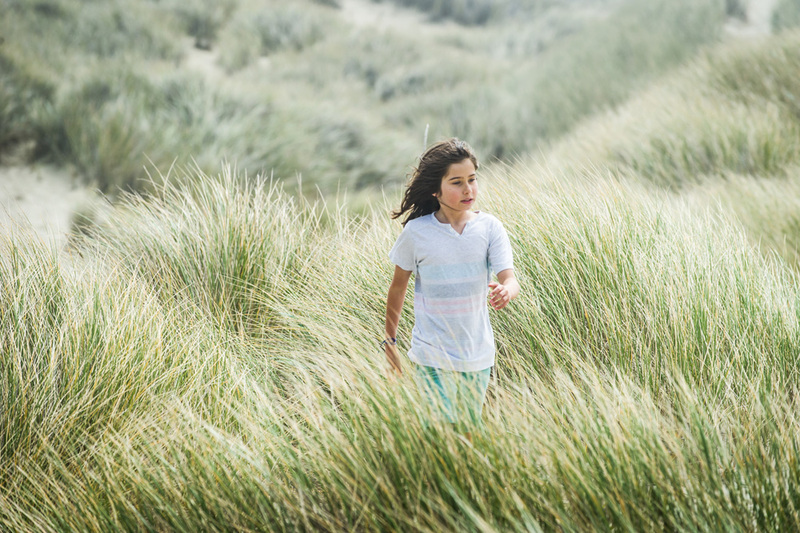 My daughter Mavis exploring the Oregon Dunes on a windy, foggy day, near Florence, Oregon. After much procrastination, I also updated my website, adding new work and removing images that were near and dear, but a bit out-dated. Thanks to the photo editors (especially Karrisa Olsen) at Wonderful Machine for being brutally honest and holding my hand throughout the process. Photographers have big, but fragile egos. Looking forward to a adventurous and photo-filled 2015. Stay tuned! Karrisa Olsen on January 14, 2015 at 7:26 am. Thanks for the mention Barb! It was a pleasure working with you. All of these images are amazing – you are doing great things and are only on your way up! You’re going to kill it in 2015.